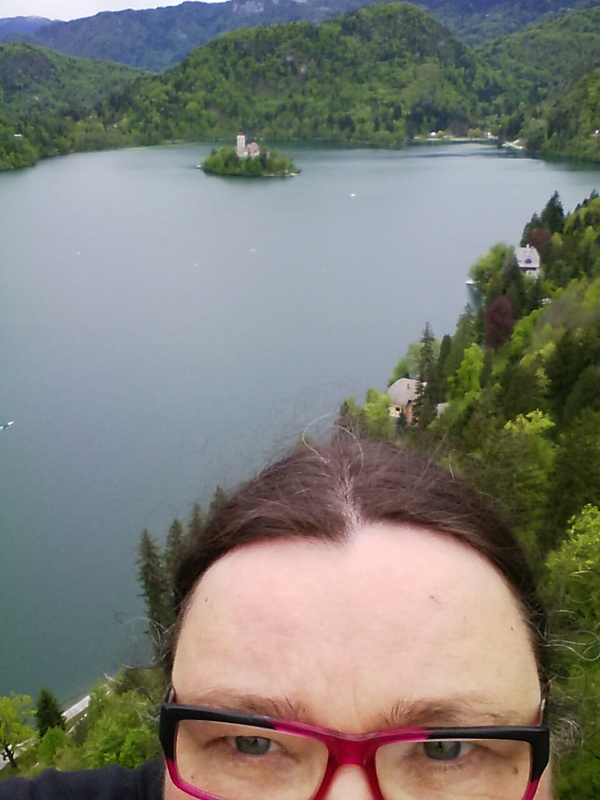 We came to Bled yesterday, separately. 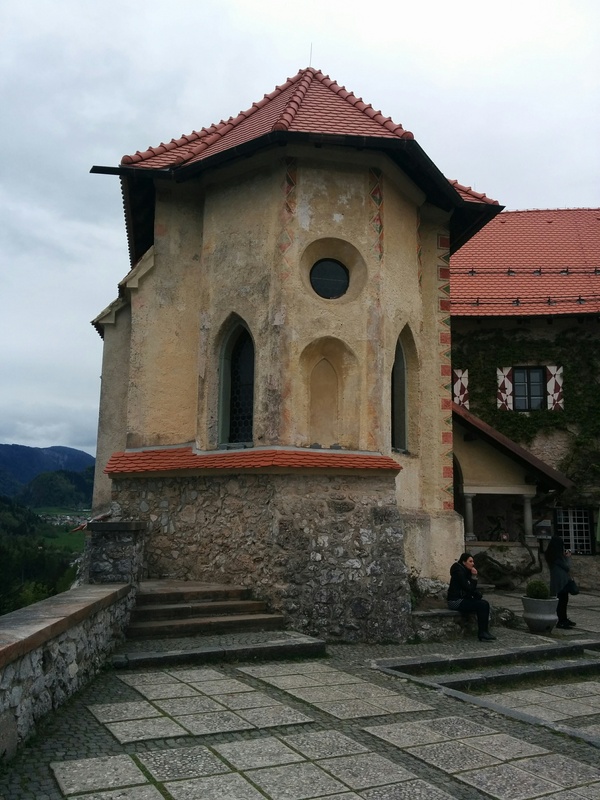 I went down to Postojna first. Charles came directly from Ljubljana. This morning. 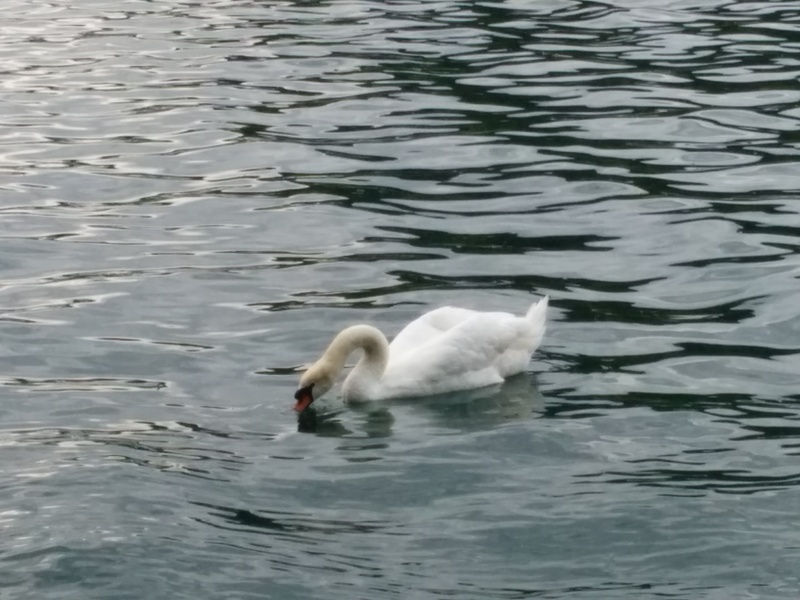 I woke up at dawn, so I went for a walk around the lake. I always try for at least one dawn per trip. It has taken me a month! I love how quiet it is, and the changing light. Just me and the swans. 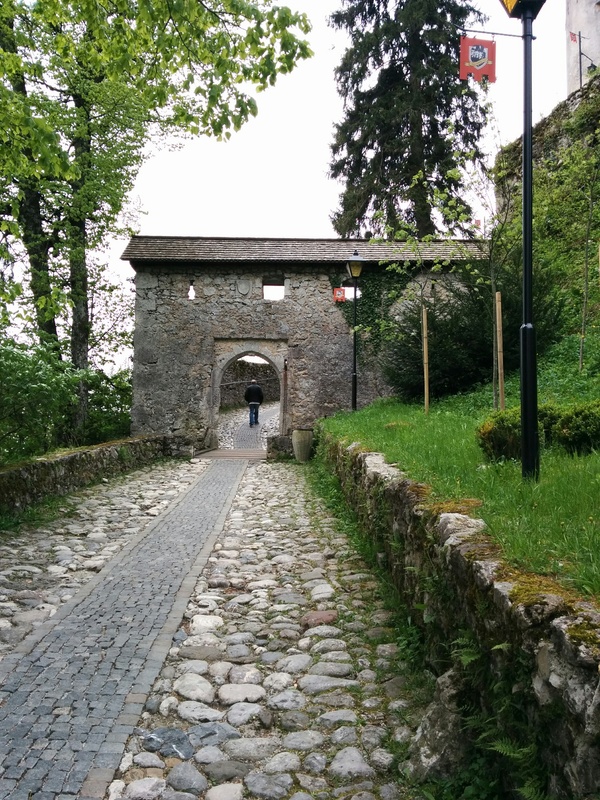 There is a castle (of course) on a hill overlooking the lake. Charles and I went up this morning. There is a nice view down to the lake. It has a nice little chapel. 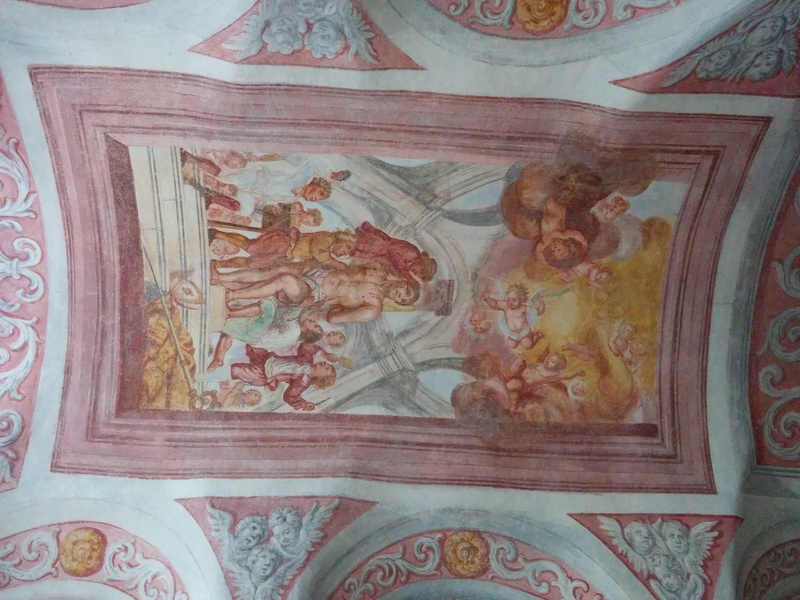 With frescoes from 1700. On my way back to the hostel, I stopped at the Supermarket. It looks nothing like Loblaws. 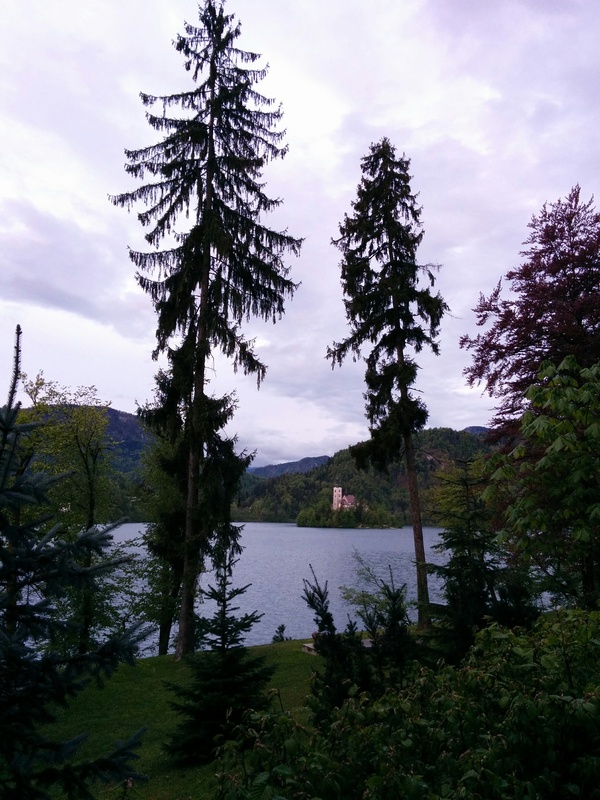 This entry was posted in travel and tagged Bled, Slovenia on April 24, 2016 by gillianknitter. Thank you for sharing your experience! 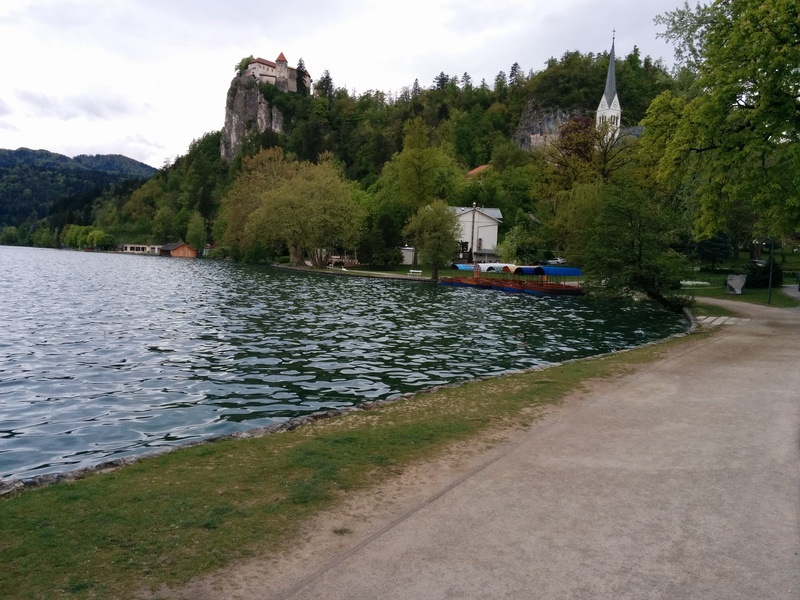 I am thinking of going to Bled this summer, and I am looking for advice about the best way of getting there (train, bus, or something else). Better to come by bus. 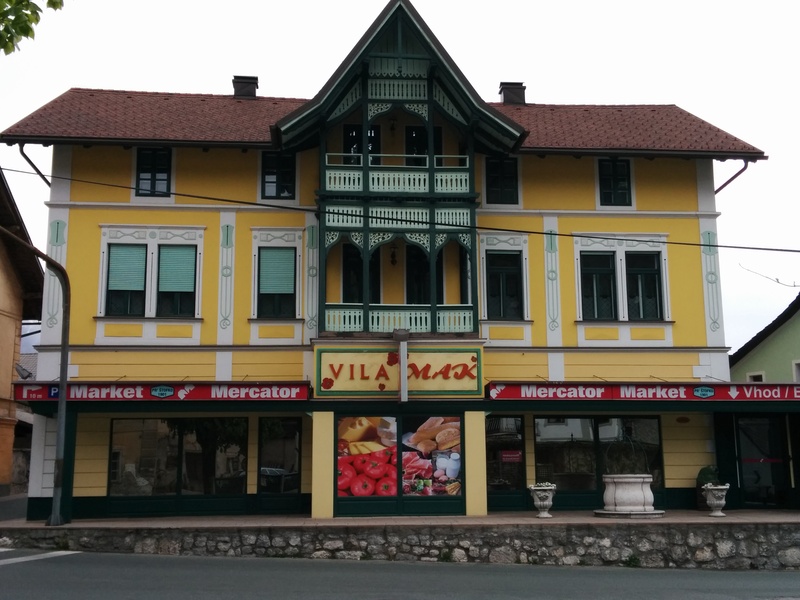 The train station is in Lesce, the next village, about 4 km from Bled. The bus stops right in the village of Bled. We came by bus from Ljubljana, there are several a day.